A 19-year-old man has been charged with the fatal stabbing of his mother in Toronto’s PATH system Wednesday night, CTV News Toronto has learned. 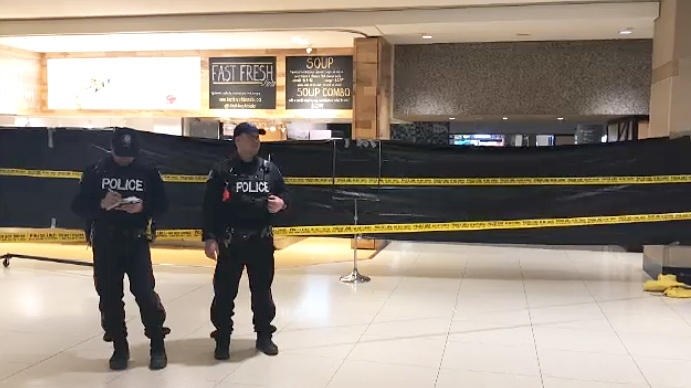 Rae Cara Carrington was attacked by a suspect in the food court of Commerce Court, located in the underground walkway near King and Bay Streets, shortly after 7 p.m. Witnesses reported hearing “spine tingling” screams coming from a worker at one of the food stalls in the area. Police and paramedics found the 51-year-old suffering from stab wounds. Despite lifesaving efforts, she was pronounced dead at the scene. 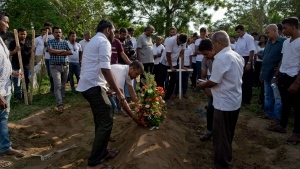 Police said they believed the attack was targeted, but would not confirm the relationship between the victim and the suspect. Carrington, a mother of eight, had been living in a women’s shelter. Court documents indicated there was a history of family violence. On Friday, police said that a man had been arrested in Midland, Ont. by Southern Georgian Bay Ontario Provincial Police in connection with the incident. 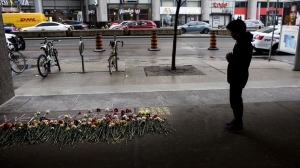 Toronto-resident Duncan O’Neil Sinclair has since been charged with first-degree murder. He is scheduled to appear in court on Saturday. In a news release issued Friday, Toronto police thanked the “citizens of Toronto and Midland communities” for their assistance with the homicide investigation. Investigators are also asking anyone with information about the activities or whereabouts of Sinclair prior to his arrest to contact police or Crime Stoppers anonymously. 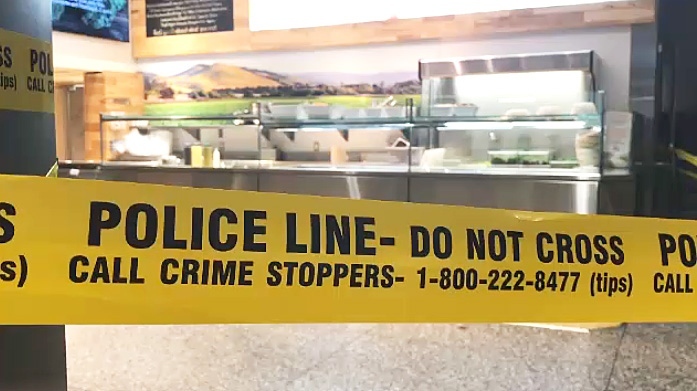 Police tape surrounds a food counter in the PATH system where a woman was murdered on April 10, 2019. Toronto police officers guard a fast food stall in the city's PATH system on April 11, 2019 after a woman was stabbed to death one day earlier.